Head Porter has released three new bold pieces to its current fall/winter accessory line comprising of an iPhone Case, Cosmetic Case and iPad Shoulder Bag. 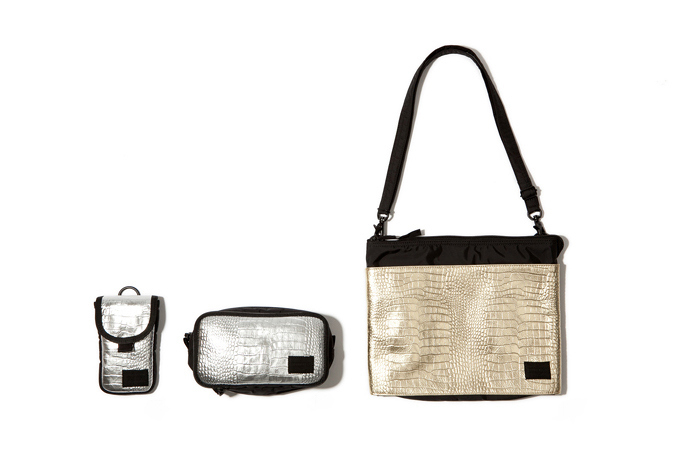 Each piece features a crocodile leather exterior finished with a glossy metallic shine paired with durable tonal black nylon material. Look out for the limited edition BLACK BEAUTY x Head Porter GLITTER collection, expected to be available at select retailers within the coming weeks.